James Nixon was born at Goldenhill, in the neighbourhood of Tunstall, Staffordshire, on 18 February 1785. One of nine children, with a widowed mother, James received his education through the Wesleyan Sunday School at Burslem. At the age of 16, he became an apprentice in the pottery business. It appears he was a typical apprentice, enjoying a drink and getting involved in brawls. 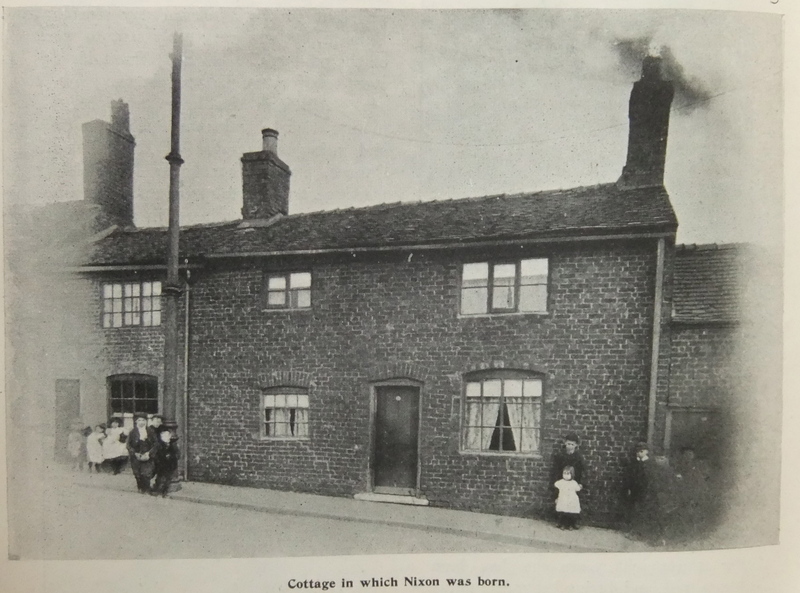 James mother opened her house for religious meetings and a widespread revival resulted from the services conducted in that cottage. 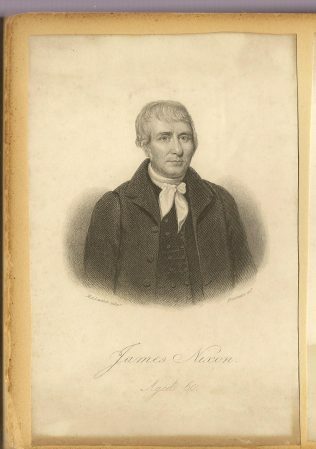 James had a conversion experience on 4 March 1805 and became an active Methodist. In the words of his daughter, Sarah, he was deeply convinced of sin, and for a time appears to have despaired of obtaining mercy; but Mr James Steele said to him one night after they had been to the meeting together, ‘James do you not believe that Jesus died for you?” ‘I do’, he replied,’I dare not disbelieve that’. ‘That’s it’ rejoined his friend; ‘ Believe it over and over agin, till you feel he died for you’. After my father had parted with his friend, he was enabled to believe on the Lord Jesus Christ, was justified freely by the grace of God, and received the witness in himself that he had passed from death into life. His class leader was James Steele, who acted as a mentor. In due course James became a Local Preacher. Barber relates that Hugh Bourne, William Clowes and William Morris were also converted at around the same time. James started to meeting with others, who had been similarly treated in the kitchen of the house of Mr Joseph Smith of Tunstall. This location was licensed for preaching in 1808. The group became known as Clowesites as William Clowes was seen as a natural leader. In 1810, along with Thomas Woodnorth, a brother in law of William Clowes, James contributed 5/- per week to allow William Clowes to be a travelling preacher. This is a sizeable sum for the day. (It should be noted that Clowes was taking a significant pay cut, his weekly income dropping from over a £1 as a potter to 10s for being travelling preacher!) In practice James and Thomas took turns to pay Clowes on alternate weekends. As James himself was earning only slightly over 10s per week, some weeks he was left without much to feed himself. In the 1902 biography of James in the Primitive Methodist Magazine, Sarah recalls that there was such a close affinity developed between James and William Clowes, that James ‘had full knowledge of Clowes movements while he was on his missionary tours.’ There was a kind of spiritual telepathy between the two men. James is listed on the first published Primitive Methodist Plan as a preacher. James Nixon married Mary Barlow on 27 Jun 1818. Mary passed away on 22 May 1847. They had seven children, five of whom were alive at the time of his death on 8 April 1857. James was buried at Christ Church, Tunstall. In his obituary, written by his daughter (Elizabeth Barlow Nixon) and published in the Primitive Methodist Magazine, she recalls that James was a philanthropist, “rejoicing when the general good of his species was effected or contemplated”. James later years were affected by asthma and diabetes. Petty summarises the contribution of James Nixon, recalling his participation in the first camp meeting on Mow Hill and the generous support of his friend William Clowes. He is described as a very efficient class leader highly esteemed by those in his class. His public speaking was less successful, his imagination was not lively, however ‘his word was frequently attended with uncommon power, and was calculated to quicken and invigorate the followers of Christ’. James was influential in business meetings and in the latter years of his life was considered to be the ‘father of the society at Tunstall’. For many years he was an active member of the General Committee and was elected a permanent member of Conference. I am presently in the process of family research and have just discovered that James Nixon is my maternal gt gt grandfather! So I was delighted to read this latest contribution about him. 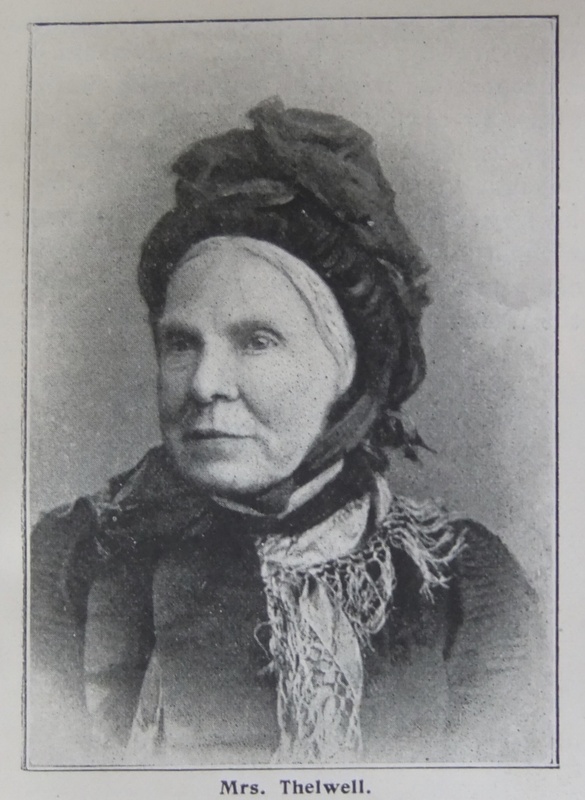 I am particularly interested to have details of his daughter Sarah who became a preacheress. If anyone has any info on her or her descendants I should be grateful to receive news of her. Many thanks, Heather Noble. This page was modified on 27 April 2017 to add a transcription of the sketch about James published in the Primitive Methodist Magazine 1902.